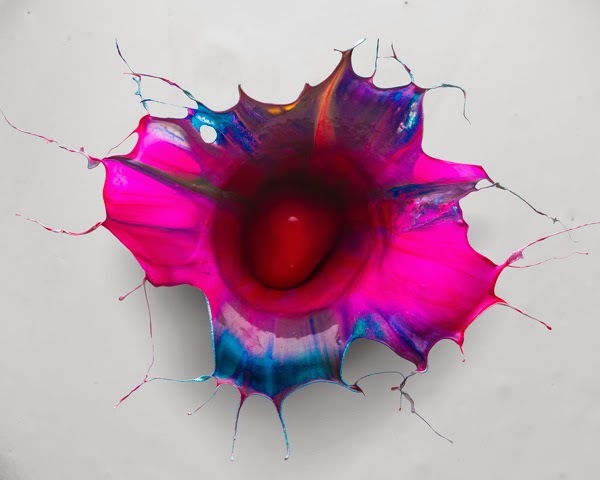 High-speed photos of color paint splashes, resembling an orchid blossom, created by throwing a sphere into a tank filled with liquid paint. 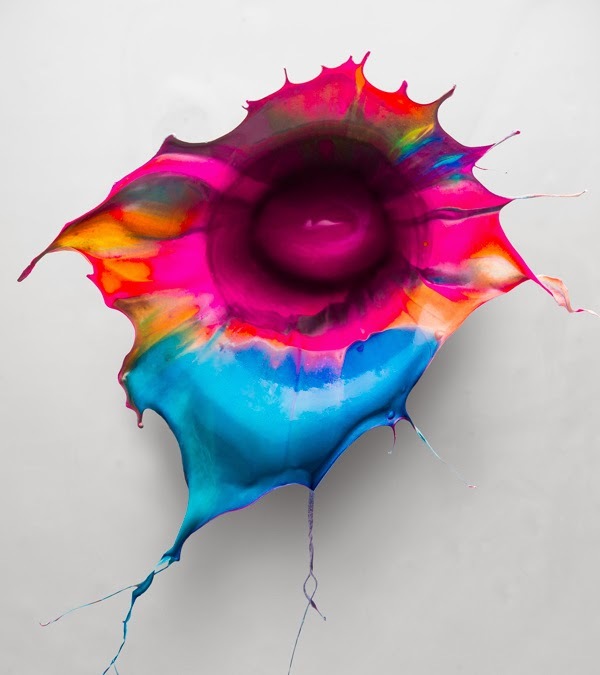 "Orchid" is the latest series of the "Paint Action" cycle, which is about modeling paint by natural forces. 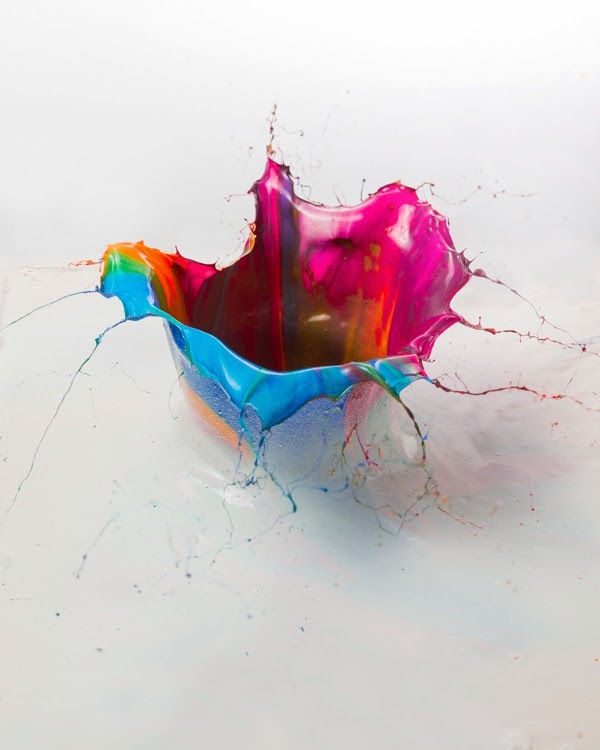 In this series, gravity created the structures seen in the images. 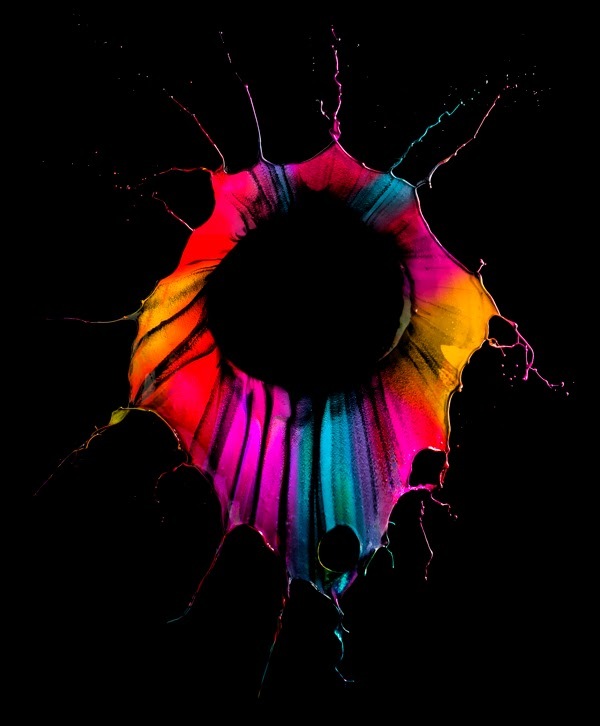 A tank was filled with several layers of different colors of liquid paint with the top layer being either black or white. 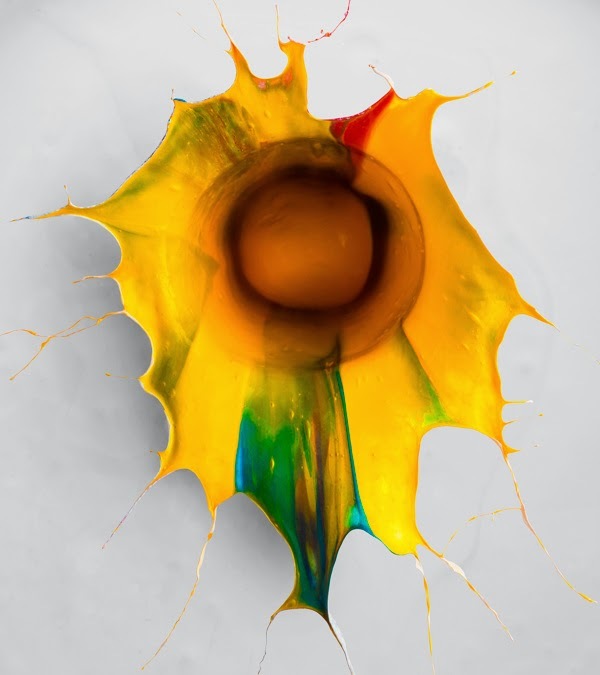 Then, a sphere was thrown into the paint. 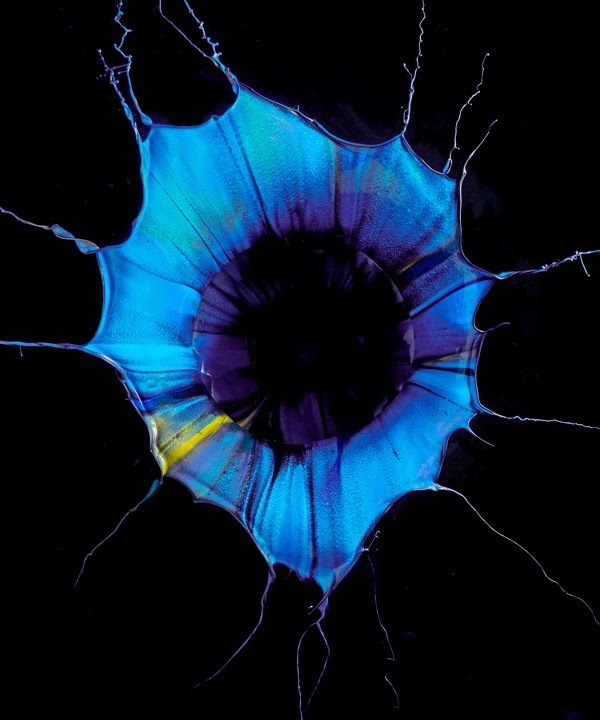 As the falling object splashed into the tank, the paint was forced upwards, shaping the individual layers of paint into a blossom-like structure. 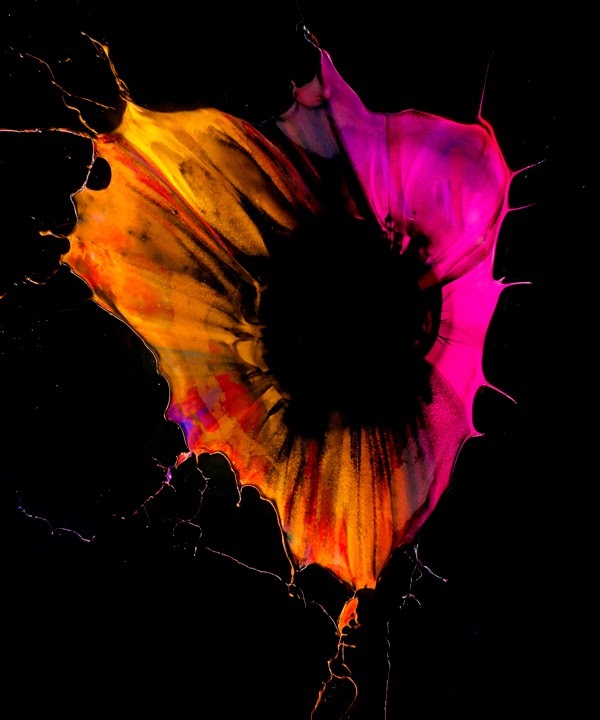 Similar to the other two series of the cycle, "Orchid" is about preserving ephemeral beauty. 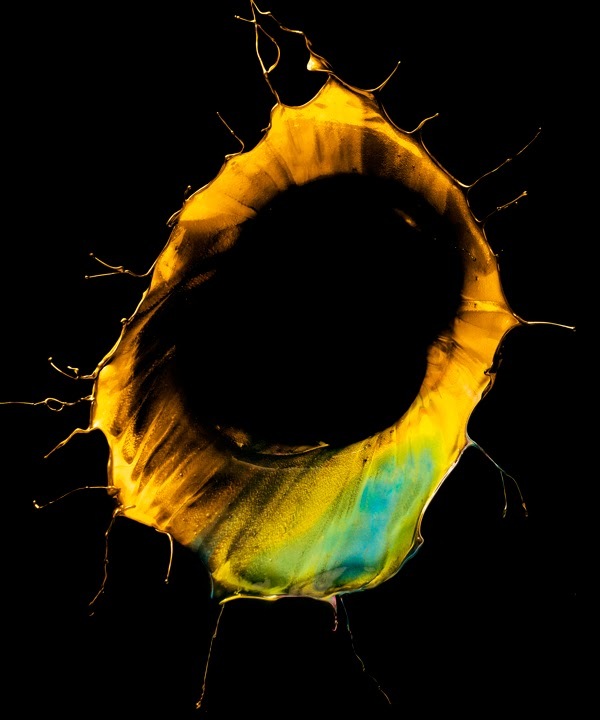 Photographed with high speed devices, these images capture structures of sublime elegance, which appear only for a fraction of a second before disappearing beneath the surface again.